I'm sure anyone who has been to a buffet has heard the age-old advice from a fellow friend or family member: "Don't eat for the whole day so that you'll get more value for your money during the buffet!!!" 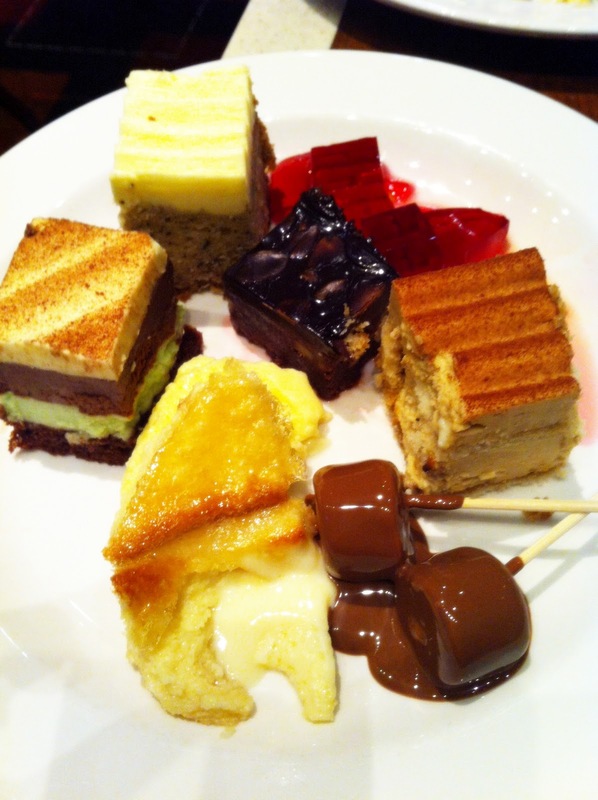 Although I am known to have an appetite greater than the ordinary male, surprisingly, I tend to eat less at buffets. Maybe the sight of so much food on display overwhelms and intimidates me immensely? 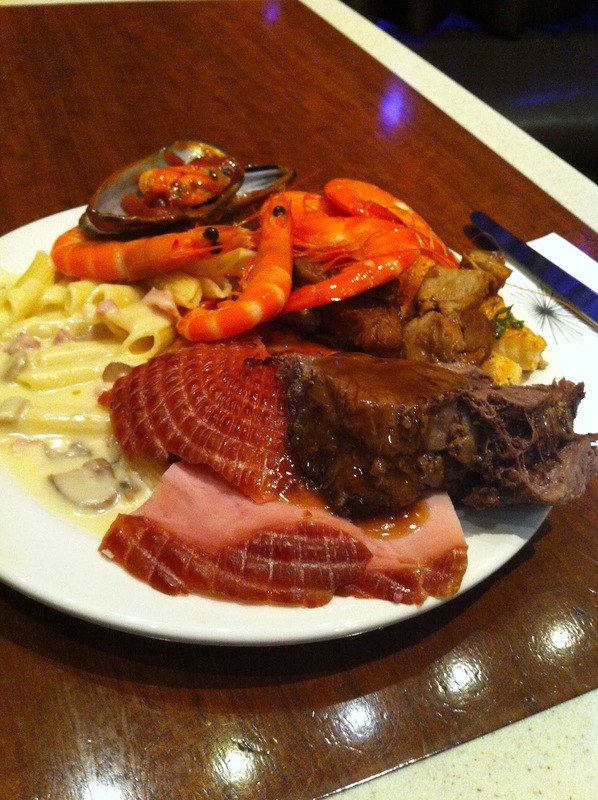 For those who are unaware, the Garden Buffet is located within The Star Casino at Pyrmont. 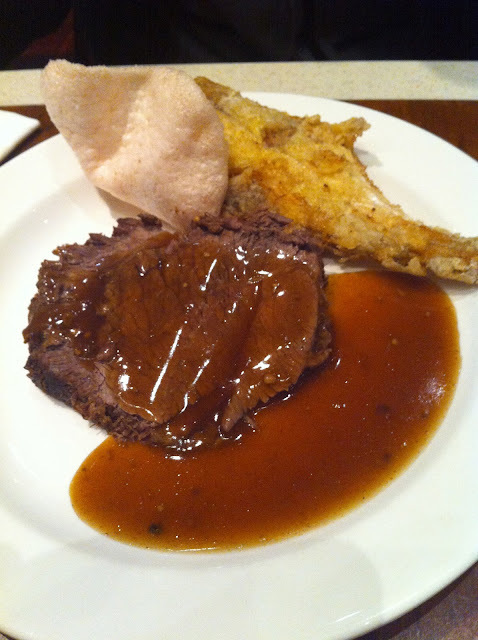 It's quite an acclaimed Buffet hotspot in Sydney and thus M & I decided to try it out for the first time! As we went on a Saturday, naturally, the place was filled with crowds of diners. 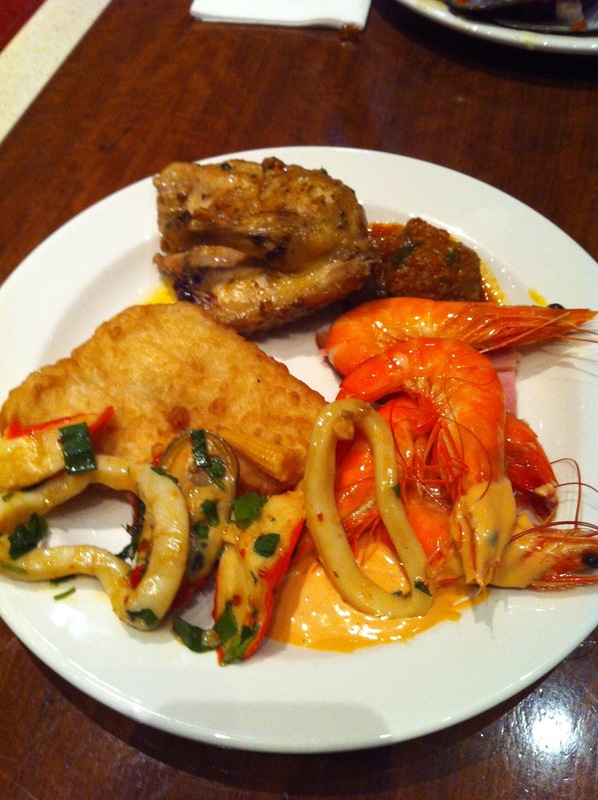 The format of the buffet is grouped into cuisines by culture and so you'd find yourself streaming from Italian pasta and pizzas to Indian Curry and Chinese stir fry. The Roast Ham was quite memorable as it was really tender and full of flavour. 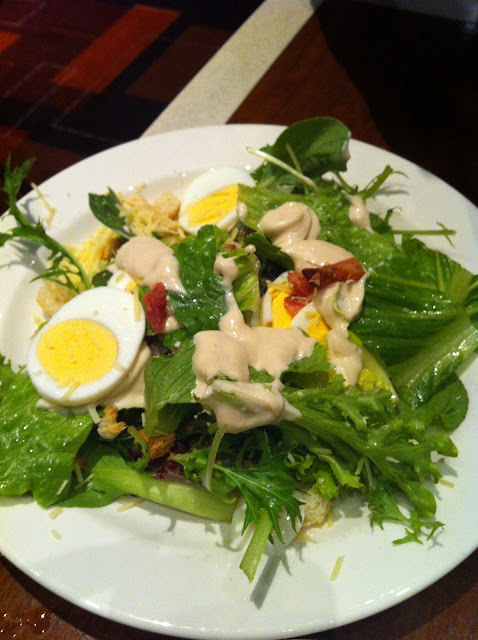 There's a nice Salad Bar where you can create your own customised salad - I'm not much of a creative one when it comes to assembling food so I stick to my good old favourite, Caesar Salad. My plate full of goodies! Key is don't take too much of everything. You may think you can finish it all but you just never know. Try everything first in small portions and go back for more later. 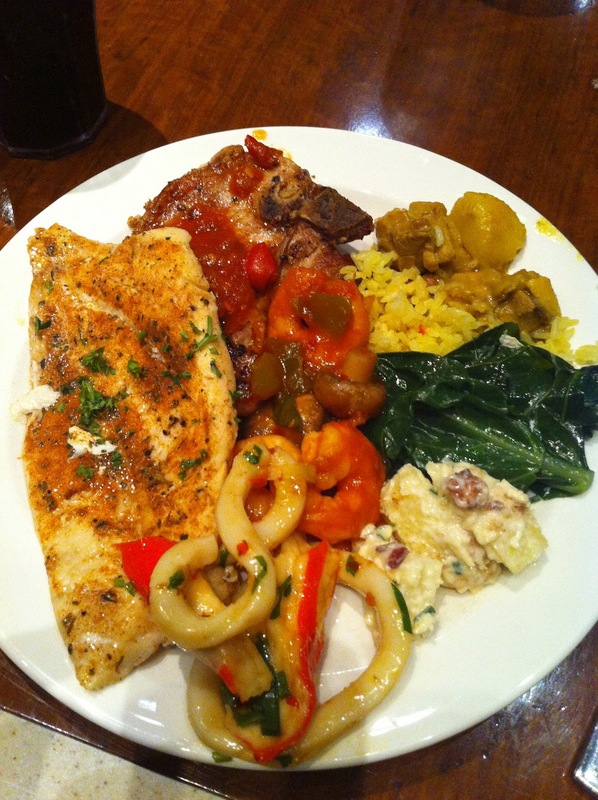 I remember the fish being really delicious and I kept going back for the cold seafood salad! Crab sticks and squid are too yummy to resist! Once you start feeling a tad bit full, it's time to head to the Fruit Section to cool off! To be honest, the whole time I was eating, my head was filled with thoughts of dessert. Panna Cotta in cute little glass cups, mini cakes, ice cream with sprinkles, marshamallows with chocolate sauce...YUM! 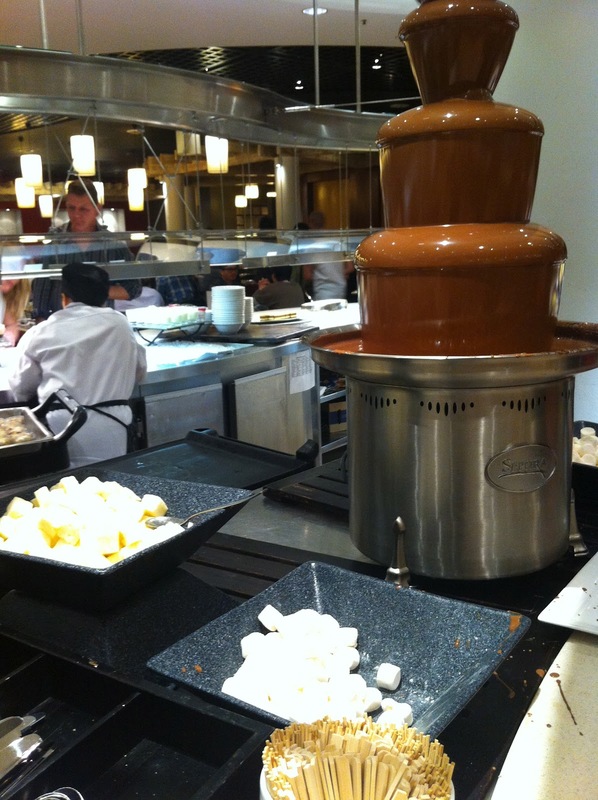 When I see a chocolate fountain, anywhere, my heart squeals with excitement. On the surface, I appear cool, calm and collected. 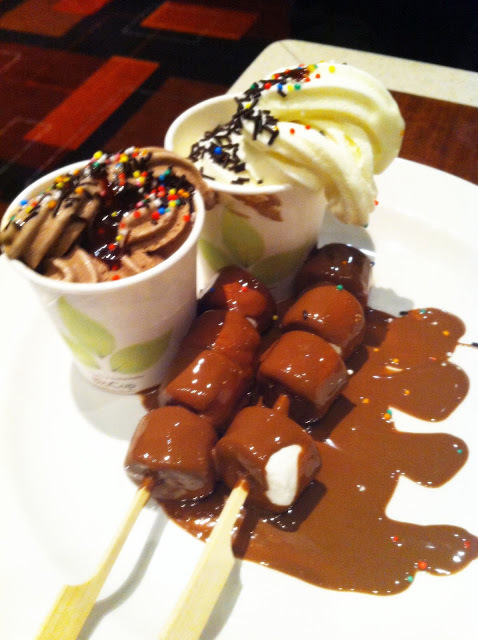 But inside, I'm screaming CHOCOLATE DIPPED MARSHMALLOWS!!! On the whole, the cakes were quite sweet and so those mini square proportions were perfect. My favourite was the Choc-Mint Cake (to the left) and of course, the marshmallows! Overall, I was a little disappointed by Garden Buffet as I was expecting more choices and better service. It took a while for our plates to be cleared from our tables. However, understandably it was a busy Saturday night and the place was a little chaotic. We went for dinner on a Saturday night and so admission was more expensive than usual- $41.90 per adult. 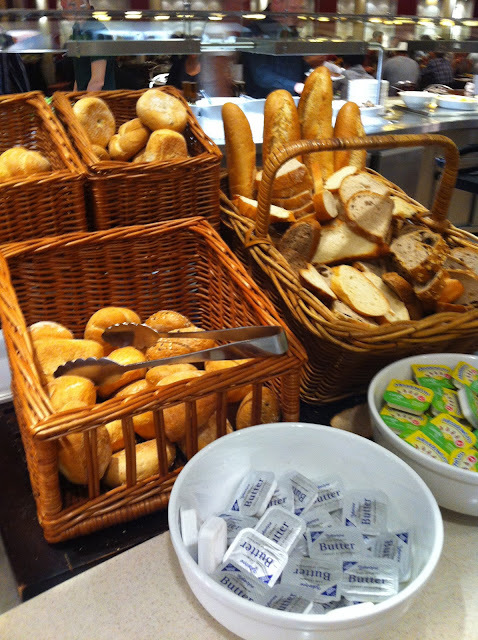 The buffet is also open for breakfast and lunch so hop on to their website online to find out more about price details! Mon-Thurs prices vary from Fri-Sun.